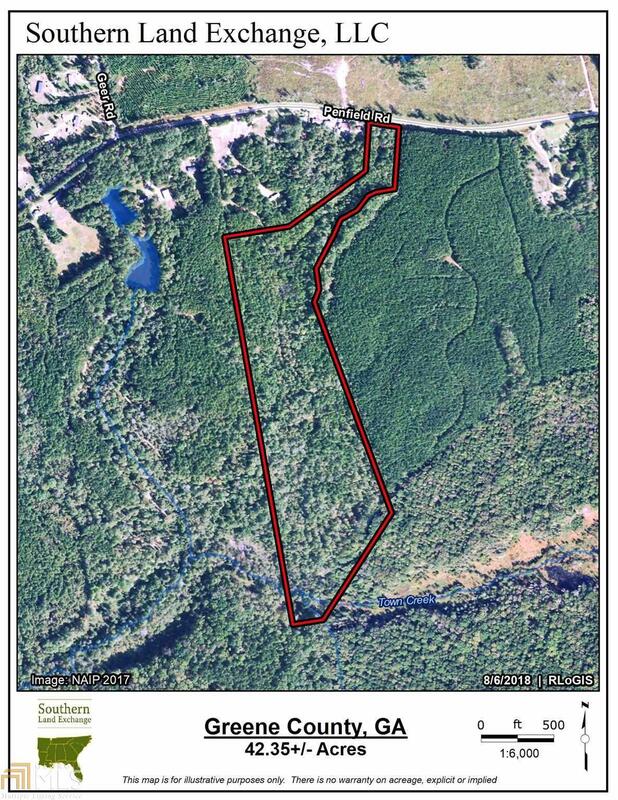 Great hunting tract! 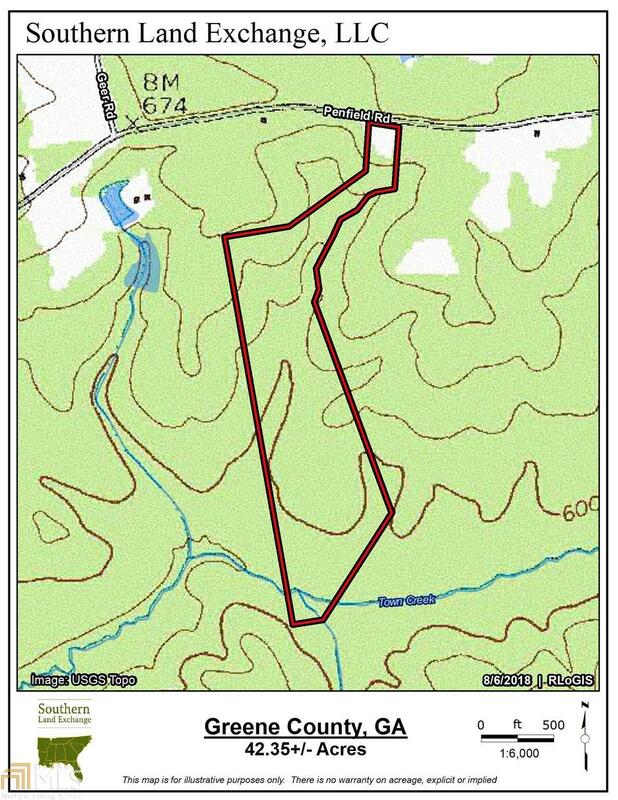 The perfect size tract (+/-42.35 ac) is located on Penfield Rd., Union Point, Ga. 30669 in Greene County. Property is private and gated and lies along a paved county road. 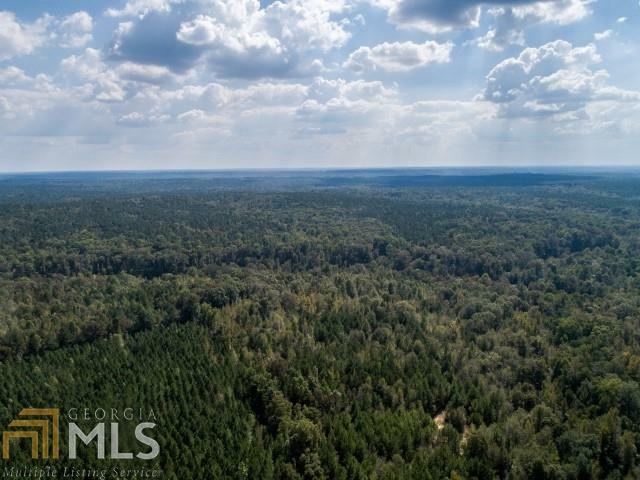 Gorgeous recreational tract that backs up to Town Creek and adjoins the Oconee National Forest. This tract has a temporary power pole on the front portion of the property, several hunting stands, food plots and Wetlands in the back of the property for the duck hunter. There are creeks meandering throughout the property and a rich mix of timber both hardwoods and pine. 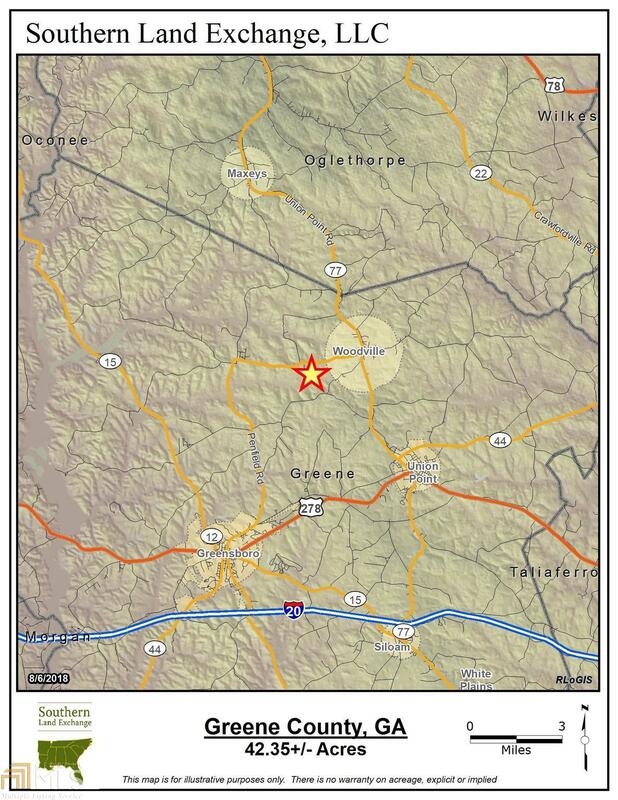 Property is near the Greene County Regional Airport, approx. 7 miles from Greensboro, Ga., Approx. 80 miles to the Atlanta Hartsfield/Jackson Airport and about 35 miles to Athens, Ga. Listing provided courtesy of Southern Land Exchange. © 2019 Georgia Multiple Listing Service, Inc. All rights reserved. Information Deemed Reliable But Not Guaranteed.